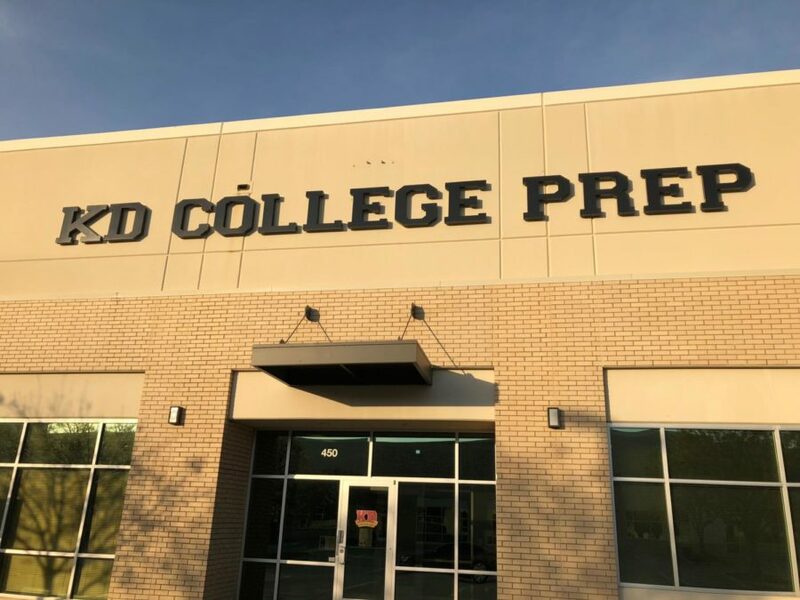 KD College Prep is facility that tutors students for the SAT and ACT, standardized tests that most high school students take before college. Coppell High School sophomores Claire Clements and Nicholas Pranske explore the benefits and drawbacks of standardized testing. Year-long projects in Wyoming, quiz after quiz in Arkansas, tests every Friday in Texas – whatever the learning method may be, it varies greatly from state-to-state. This diversity leaves but one method to be used to compare students from across the country: standardized tests. For many high school students, the SAT and ACT tests are primary methods for being accepted to their choice college or obtaining a scholarship. For this reason, among others, these tests are integral parts of the secondary schooling experience. The SAT, formerly called the Scholastic Aptitude Test, is a multiple-choice test composed of four or five sections: reading, writing and language, math with a calculator, math without a calculator and an optional essay. The American College Test (ACT) is similar in some ways, though very different in others. The ACT contains English, math, reading and science sections. There is also an optional essay portion. Although the sections in the two tests are nearly the same, each test aims to assess different components. This gives students of different learning styles, strengths and skills the opportunity to focus on and succeed at one of the tests. Both the SAT and ACT are major means of receiving scholarships given by one’s chosen college. According to the scholarship database at the University of Texas at Austin, there are 32 available scholarships offered through the university, all of which favor students with higher standardized test scores. Without a fully standardized test, colleges and universities, such as UT Austin, would not have the proper means to compare each applicant fairly and without bias. Not only does a uniform test give all students the same chance, but it also gives students a backup plan for their ticket to college. If a student does not do well in a school environment but is good at taking tests, they can be accepted based mainly on their test scores, even if they have mediocre grades. While this is not saying that good test scores can make up for four years of C’s on a report card, having a great score on the SAT and/or ACT can substantially increase one’s chances of getting into a college. The collegiate benefits of the SAT and ACT are only some of the many advantages that come with taking these tests. In the time spent preparing for the tests, whether one studies with a tutor or by themselves, the student can often get ahead in regular school subjects. While in the long run, knowing trigonometry is not going to benefit everyone in their career, one still has to finish schooling. The standardized tests are, for the most part, based on what students should have learned up to that point in their high school career. The test preparation also readies students for more than just a standardized test. Because some of the study material is sometimes not yet taught by the school, studying for the test could give students a head-start in that subject. There can be a correlation between studying for the SAT and/or ACT and receiving good grades after all. SAT and/or ACT. The “and-slash-or” part of that phrase might be the key component. One has the choice of taking either one of the tests or maybe both. In fact, according to The Princeton Review, changes to the test in 2016 made the SAT more similar to the ACT for concurrent-studying purposes, while still upholding the integrity of their differences. This allows for students of different aptitudes to assess which is a better fit for them, and take that one. Whether it is simply a way of testing students in the country the same, a contributor ticket to college or a method of raising one’s grades, the SAT and ACT tests are beneficial to be taken by students across the country.